The newly formed Association of Regional Urban Designers has been established to bring together those interested in creating better places for people and nature through new development. 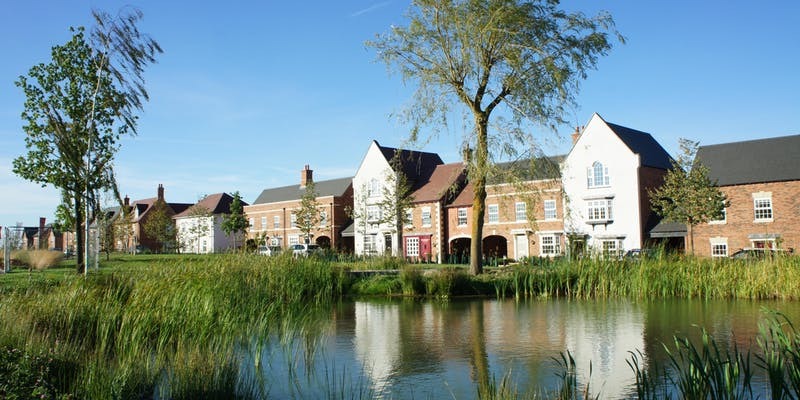 We meet twice a year and our first meeting will be kindly hosted by Urban and Civic Plc at a major new development located to the east of Rugby called 'Houlton'. If you are travelling to the venue and require lunch, there’s a great coffee shop next door called the ‘Tuning Fork’. 1.30pm : Welcome. Followed by a presentation about Houlton. 2.30pm : Walking tour of Houlton. 3.30pm : Return to The Barn for tea and coffee followed by Question and Answer session. Our aim is to promote urban design principles and thinking in new developments outside of London. Offering convenient and low cost opportunities for a small and dispersed network of local authority urban design officers to meet with other design officers; facilitate opportunities for informal mentoring between officers. Raising public awareness of urban design, its value, career opportunities and the work of local authority urban design officers by offering events that are open to the public, students and the private sector; to give the public the skills and knowledge to challenge poor quality design in planning applications; to inspire others to become urban designers and broaden diversity within the profession. Inviting and welcoming local and national media to attend our public events emphasising the importance and value of design in helping to tackle health, social and environmental issues (with a particular emphasis on obesity, water management, native species, air quality, active travel, car based design and social isolation). Sharing urban design thinking, challenges, ideas and best practice. Focusing discussions and events that are relevant to the economic, development and wider conditions (e.g. car dependent, dispersed, coarse grain) within which design officers operate. Actively encourage and recognise developers ‘heading in a better direction’. Providing a voice for under-represented parts of the country with the organisation responding (where appropriate) to government consultations and working to ensure it is represented at stakeholder consultations. Circulating events across the membership’s area to make sure that travel distances, costs and times are reasonable for all. Please note we are not political. We are NOT the right organisation or event for you if you wish to discuss national or local planning matters (for example, site allocation policies, Local Plans, house building targets nationally or locally, or greenfield versus brownfield development). However if you want to discover more about urban design and place making, we'd be pleased to meet you.